My husband's grandmother gave me a box full of belts a few months ago, and after picking out a few to use for crafts, I saved a few favorites for myself. The only problem is, Grandma must have been a size 0 when she wore them (which I certainly am not!) because they were tiiiiiiny! 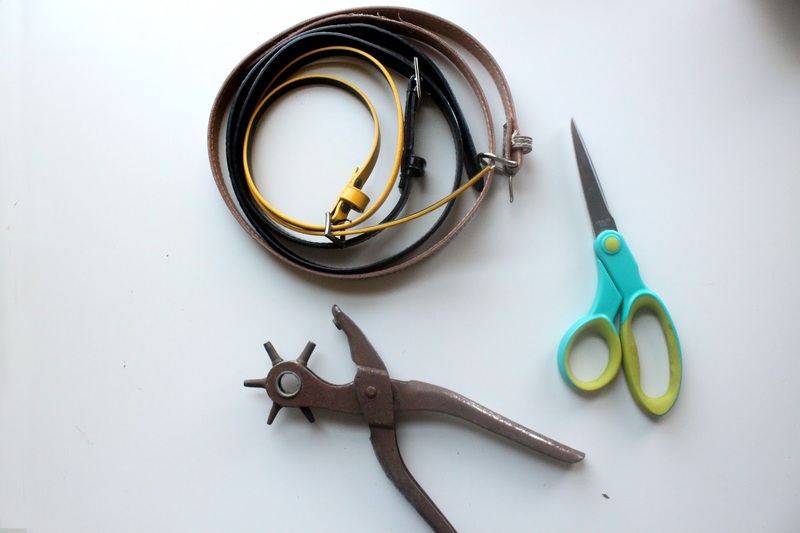 Most of them found their way into my craft room to be refashioned later, but I held onto this cute yellow skinny belt for myself, thinking I could make it work...that is until I tried to force said size 0 skinny belt onto my size 6 waist and it broke. But when life hands you lemons and broken belts, you make jewelry! 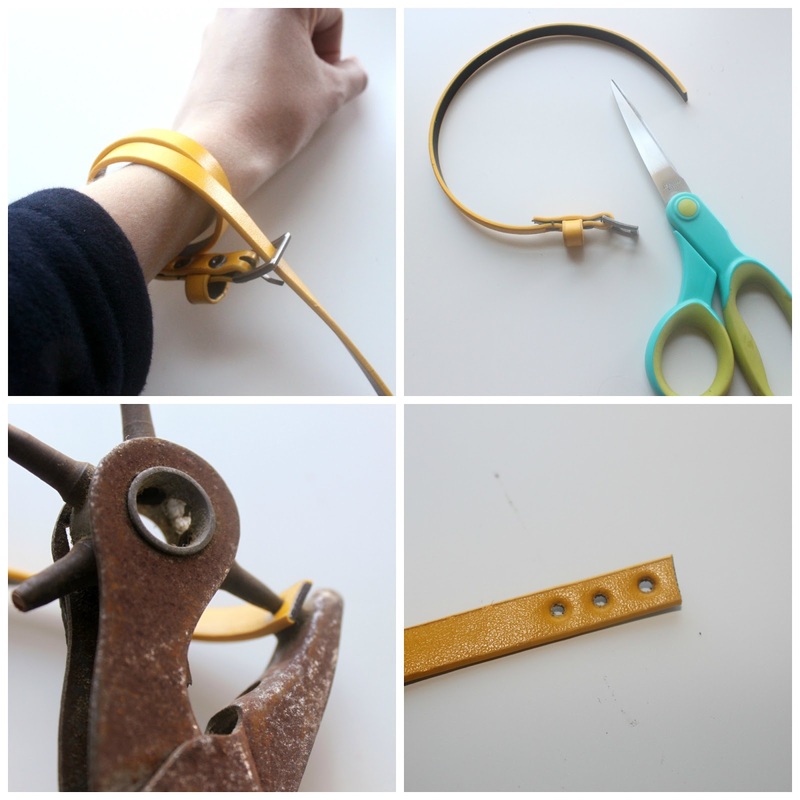 So grab a few skinny belts from your closet (or from your local thrift store) and lets make some leather wrap bracelets. 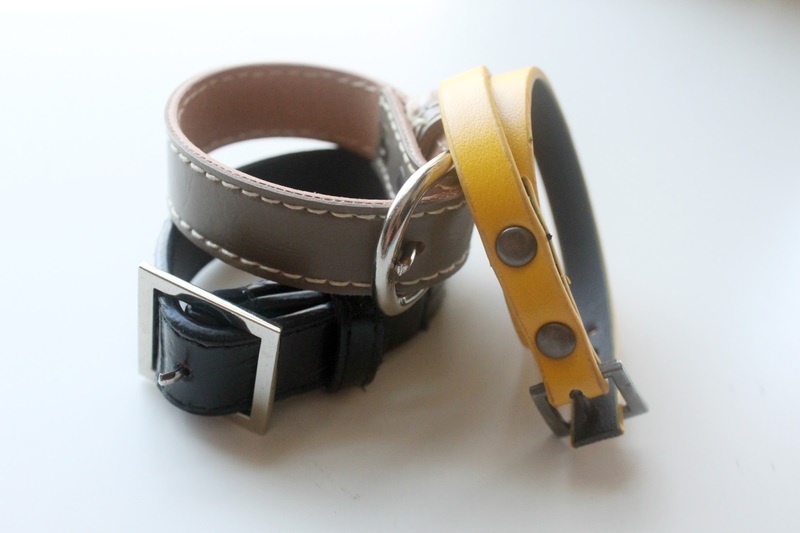 SUPPLIES: leather belts (preferably skinny belts), scissors, leather punch or Crop-o-dile. 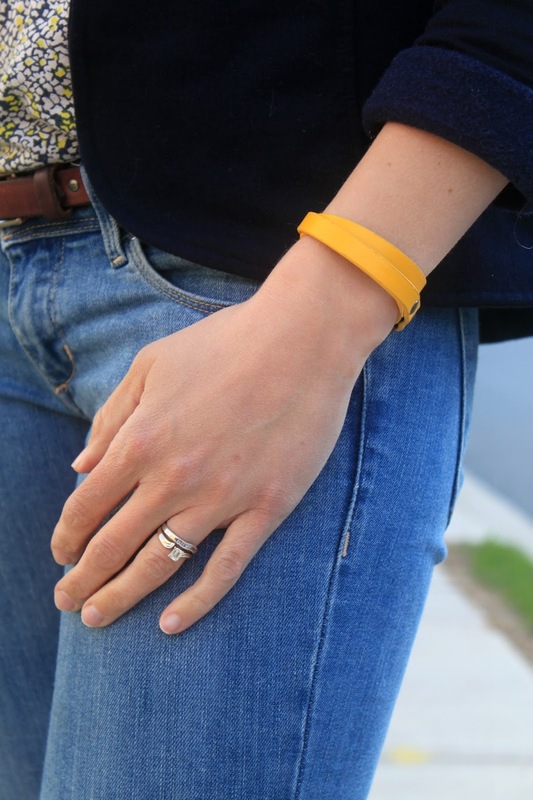 ONE: wrap your belt around your wrist until you're happy with the bracelet size, leaving some extra for the tail. TWO: cut that bad boy. THREE: use your leather punch or Crop-o-dile to punch holes in your bracelet to make it adjustable. Now make a bunch! I bet you could find a ton of fun prints and colors at a thrift store. 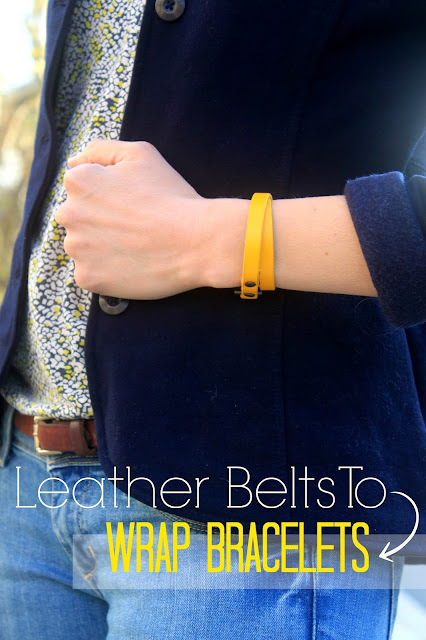 I'm hoping to find some neon or metallic belts to make into bracelets next. Love how it looks! I don't think I'll have any skinny belts left after I start with this craft, haha! Great idea! I've got some old belts that have been waiting for inspiration...Thanks! So cute! Guess I need to check out the belts next time I'm at the thrift store.